The March Innovation Showcase event held at the Carfulan Group premises in Foston, Derbyshire attracted a large audience and provided visitors with valuable information on the latest innovations within 3D printing. The event offered attendees the chance to learn more about the benefits of additive manufacturing, and the opportunities for improved production and efficiency. SYS engineers were very busy throughout the two days, and demonstrated the capabilities of Stratasys 3D printing with their Fortus 3D production system, which allows for accurate and repeatable parts faster than ever before. With the ability to produce jigs and fixtures, as well as factory tooling and end use parts, its the ideal system for manufacturers who are looking to improve production. 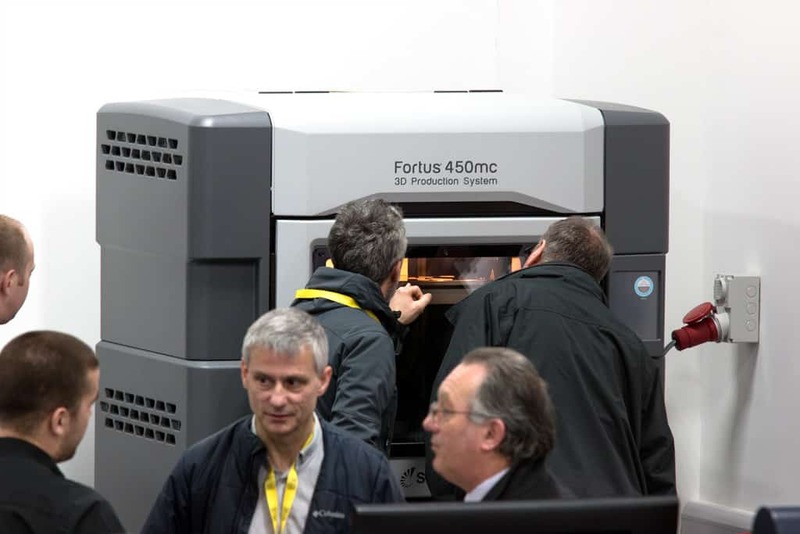 The Connex range of 3D printers showcased the advantages of multi material 3D printing, and visitors got the chance to see how multiple materials can be used in one single print job, which cuts down on lead times and improves production. A range of 3D printed parts were available for viewing, allowing visitors to feel the quality of Stratasys 3D printing materials, as well as see the impressive detail that can be achieved. The day was a great success, with many businesses from all across the UK getting the latest insights into the world of additive manufacturing, and getting to see first hand how it can benefit their manufacturing processes. Take a look at the event highlights below. Don’t forget to take a look at our events page so you don’t miss out on seeing the latest technology in 3D printing at a number of events throughout the year.